Finding UK credit cards with similar rewards and low APR is as easy as finding American cards. UK credit cards can be accepted almost anywhere most Visa, MasterCard, and other carriers are honored. With several options, from major carriers to rewards cards, UK credit cards have a lot to offer. UK credit cards come in all forms-from small to large cards, many with high street presence. Several cards are considered the UK standard cards, with a large presence across Europe. Lloyds TSB credit cards are offered through MasterCard and American Express. The Platinum card offers 0 percent interest on balance transfers, a 15.9 percent variable rate, and up to 56 days of interest free purchasing power. The Advance credit card has 0 percent on purchases for six months, and a 5.5 percent lifetime rate for balance transfers. The APR is 11.9 percent. Finally, the Rewards American Express Card offers 0 percent for nine months on balance transfers, with a regular rate of 15.9 percent. The rewards offered include earning points to spend at retailers, along with American Express rewards like Selects and Travel Service Locations. Barclaycard offers several different types of credit cards to choose from. Four major cards are the Platinum, Simplicity, Flexi-Rate, and Initial. Rates vary from 6.8 percent upwards of 27.9 percent APR. The cards range for people with excellent credit history to those who need to work on repairing their credit. Barclaycards also offers student, graduate, and charity cards for those who qualify. UK credit cards also provide low standard rates and rewards for those who want to get something back from their cards. Co-Operative Bank Clear Card-Has a long low-term rate of only 9.9 percent. The Co-Operative Bank card also donates money to various charities through the Customers Who Care program. Travel and legal assistance available abroad are additional benefits. Virgin Credit Card-With a typical variable rate of only 15.9 percent and up to 56 interest free days, the Virgin card offers cardholders more than just the usual in credit lines, including special discounts from the Virgin Megastore and Virgin Mobile. 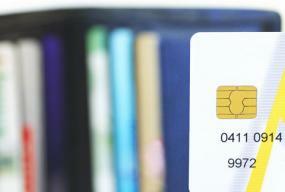 Nectar Card-Benefits include 12.9 percent APR and chip and PIN security. A rewards point collaboration system with other merchants allows cardholders spending and point redemption options at various Nectar merchants and other places that take American Express. A new trend in credit cards is the online only card. Online only cards can offer additional benefits to people interested in keeping their accounts over the Internet. One of the newest cards to be offered is the Cahoot credit card. An 11.8 percent APR is offered, along with up to six weeks interest-free credit. Their webcard is for anyone who wants to shop securely online without giving out their credit card account numbers. Online, telephone, and mobile account services are available for those who need 24-hour account access. UK credit cards are easy and convenient to use virtually anywhere in the world. Check out the cards above, or do a comparison to find the card that works best for your needs.